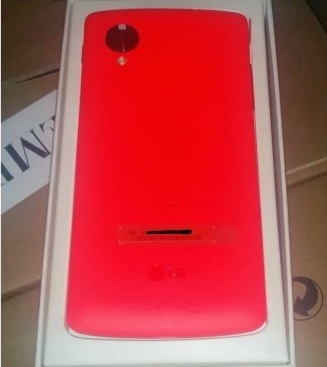 Looks like a red Nexus 5 will arrive in the near future. The Nexus 5 has been ruimours to get a bit of paint thrown at it much like several other leading brands out there and could be set to launch in the Google Play Store as early as the beginning February 4th. It would be unlikely for the Nexus 5 will have anything different under the hood and still boasts the 5-inch 1080p display, Qualcomm’s Snapdragon 800 processor, 2GB of RAM, an 8 megapixel camera, either 16GB or 32GB of internal storage and more. No mention of price just now however, this being Google, we have no reason to believe they would ask you to pay more for simply a colour.